A growing number of consumers are willing to pay a premium for fruits, vegetables and other foods labeled “organic”, but whether they’re getting what the label claims is another matter. Now scientists at the Bavarian Health and Food Safety Authority and the Wuerzburg University in Germany are studying conventional and organic tomatoes are devising a new way to make sure farms are labeling their produce appropriately. Their report, which appears in ACS’ Journal of Agricultural and Food Chemistry in August 2014, could help prevent organic food fraud. A release from the American Chemical Society notes that the demand for organic food is growing at a rapid clip. Its global market value nearly tripled between 2002 and 2011, when it reached $62.8 billion. Yet because organic food can often cost twice as much as conventionally produced food, the risk for fraudulent labeling has grown just as fast. However, figuring out whether a fruit or vegetable was grown under organic conditions is fraught with complications. Currently, the most reliable authentication technique analyzes the stable isotope composition of nitrogen, but it is not fool-proof. Monika Hohmann and her colleagues decided to take a stab at developing a new method. They looked to a technique called nuclear magnetic resonance spectroscopy, which has been used to authenticate foods, including honey and olive oil. They analyzed tomatoes grown in greenhouses and outdoors, with conventional or organic fertilizers. 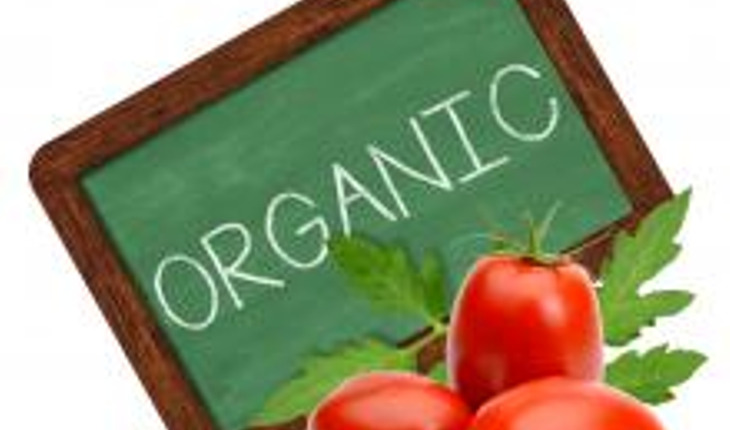 Their data showed a trend toward differentiation of organic and conventional produce. The researchers conclude that the test is a good starting point for the authentication of organically produced tomatoes, and its further refinement could help root out fraudulently labeled foods.